There have been a number of stories written over the past few years regarding the progress of the Western Access O’Hare project. Local media has recently questioned if the new I-390 Tollway will ever lead somewhere. It appears people have short memories. The new I-390 Tollway is part of the Western Access effort that will eventually connect to O’Hare creating a western access point to the airport — a project vital to our region, and especially DuPage County. Key components of the O’Hare Modernization Project (OMP), agreed to and approved 15 years ago, were predicated upon the successful completion of the Elgin-O’Hare Tollway, I-390. The project began with an addition of nearly 50 expressway lane miles. By converting Thorndale Avenue into a limited-access, four-lane highway, we’ve created an extension to the Elgin-O’Hare Expressway, opening the opportunity to build a bypass that connects I-90 and I-294. This is an incredibly important project, not only for DuPage County, but for residents and businesses across the Chicagoland region as whole. The benefits from the Western Access O’Hare project are compelling. As a component of the larger OMP, this effort will completely transform the economy of the region. Today, the manufacturing, transportation and warehousing industries have a workforce of 75,000 in DuPage County, nearly 15 percent of our entire labor force. The Western Access O’Hare project is vital to the future of our region if we are to sustain this level of economic activity. Despite the uncertainty that both public-and private-sector organizations face in today’s environment, Choose DuPage continues to work toward expanding the regional economy through actions that stimulate business investment in our region and generate desirable job opportunities for residents. In a market where industrial vacancy rates have been on a nearly continuous five-year decline, our county is finding new ways to remain competitive. Industrial businesses are making their move to DuPage, and Western Access to O’Hare allows for further growth; this is truly a road to opportunity, crucial to the future of our economy. 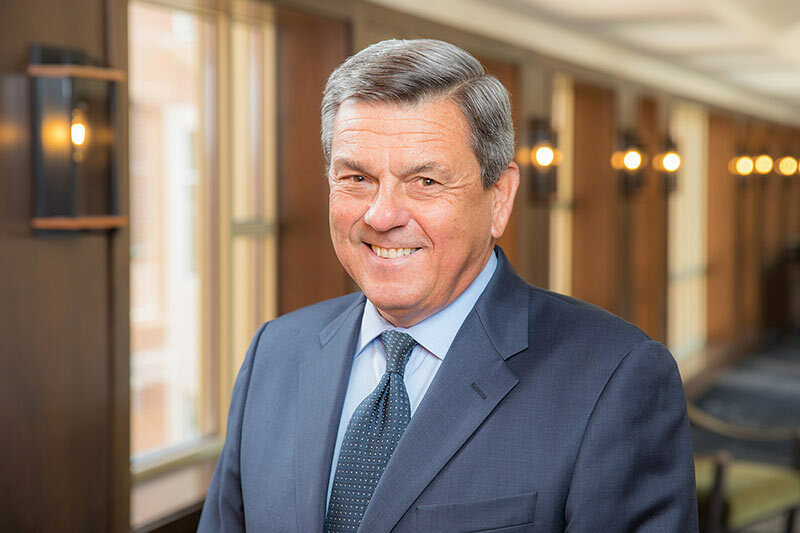 Since 2014, Choose DuPage has worked with the Illinois Tollway and regional public- and private-sector leaders to establish the Western Access O’Hare corridor as a premier global business location. This project will relieve congestion in the western suburbs and generate a raft of jobs and economic growth—with or without a new O’Hare western terminal. DuPage deserves this and the region will benefit from it. So, I challenge the notion I-390 is a road to nowhere. Meaningful western access is building a road to opportunity that is crucial to the future of our economy. In 2015, Choose DuPage Economic Development Alliance launched a 4-point plan—four strategic initiatives to further economic evolution and drive development in DuPage County. As 2017 draws to a close, I’d like to reflect on the progress of these initiatives and plans for the future. Argonne National Laboratory launched Chain Reaction Innovations (CIR) in 2016, an onsite tech incubator for science and energy entrepreneurs, and is working with Choose DuPage to attract companies that would best benefit from Argonne’s world-class facilities and research. This year, we have involved Argonne and Chain Reaction Innovations in our plans for Innovation DuPage, a new business incubator and accelerator being launched in partnership with Choose DuPage, Rev3 Innovation Center, College of DuPage, Village of Glen Ellyn, Benedictine University, Elmhurst College, and DuPage Impact LLC. As plans for Innovation DuPage progress, we hope to solidify our partnership with Argonne and Chain Reaction Innovations. 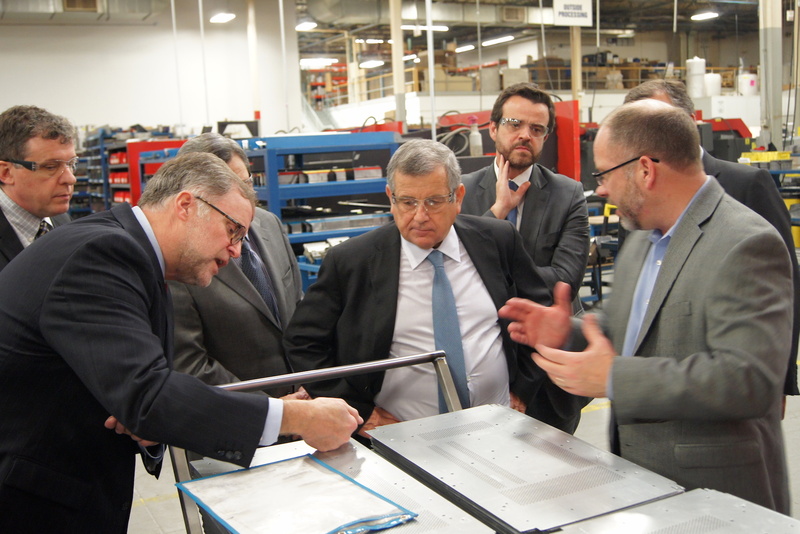 Additionally, Argonne has participated in choose DuPage programs such as the Regional Business Outlook. One persistent issue with companies that call the suburbs home is finding ways to make the commutes of office workers who choose not to drive to their jobs easier. Many office buildings aren’t conveniently located to public transit alternatives such as train stations, a problem known as the first-mile/last-mile commute. Choose DuPage has been working with Burr Ridge-based Innova EV, Hamilton Partners and the Village of Itasca to solve this problem. In 2017, Innova EV launched a pilot program using electric vehicles to get employees from the Itasca train station to the office development Hamilton Lakes. This has laid the groundwork for additional pilot programs in an effort to apply our solutions to alternate scenarios. This 800-acre campus in West Chicago is a fertile ground for development. With a diverse communication system, accessible utilities onsite, and direct access to DuPage Airport, the campus is ideal for a variety of businesses. Earlier this year, Choose DuPage submitted DuPage Business Center as one of two in DuPage ideal for Amazon’s headquarters. 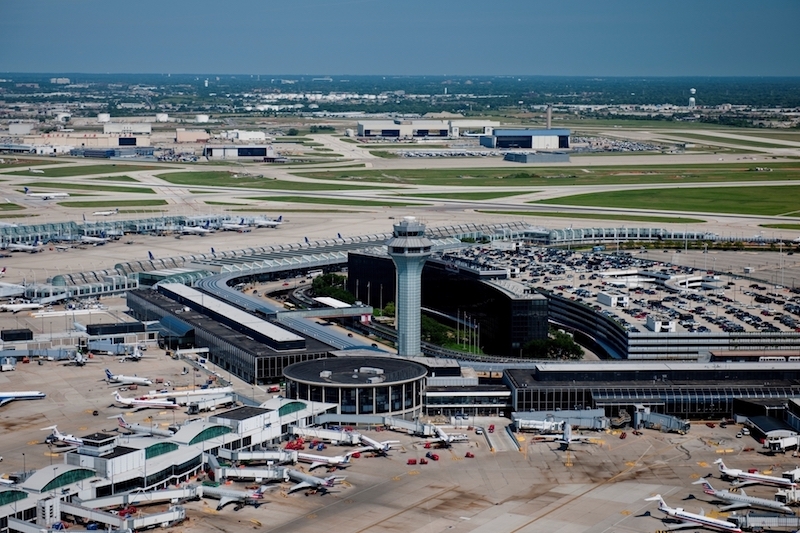 Providing meaningful access to O’Hare from the western suburbs will transform the region—saving $145M in travel delays; creating over 13,000 jobs annually during the project; boost local tax revenues by $29M annually; and most important, lay the groundwork for the creation of 65,000 jobs by 2040. In 2017, the Illinois Tollway opened a second stretch of road on Illinois Route 390 from I-290 to Illinois Route 83. This means that Illinois Route 390 now connects from Lake Street (U.S. Route 20) to Illinois Route 83. The completion of this project opens the opportunity to build a bypass that would connect I-90 and I-294. Choose DuPage will continue to work with the Illinois Tollway and DuPage County towards the completion of this critical bypass, and ultimately on delivering meaningful access to O’Hare. Just this month, the American Academy of Pediatrics moved into their new, five-story, 183,000 square-foot office building in Itasca, bringing 455 new jobs to DuPage. Rexnord Corporation re-committed to Downers Grove after a national search for their aerospace headquarters. The company will redevelop its existing site and build an additional 248,000 square-foot facility expected to be completed by 2019. Amita Health signed a 10-year lease for 225,000 square-feet of office space in the Navistar Campus in Lisle. This new headquarters location will bring 1,100 jobs to DuPage County. Together, these projects and many others have contributed to the prosperity of DuPage County in 2017. As we celebrate our success, and cross over the bridge into an even better 2018, we remember that everything we do is for the people, the place, the prosperity of DuPage. The marketing committee reviewed the 2018 marketing plan, as presented by Courtney Healy. The committee members present discussed the plan and agreed to move forward with presenting it to the Executive Committee on December 13, 2017. 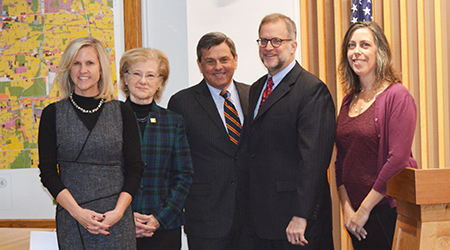 Innovation DuPage, the new business incubator and accelerator developed by College of DuPage in partnership with Choose DuPage, Rev3 and the Village of Glen Ellyn, received additional praise Dec. 12 in the form of a formal proclamation from the DuPage County Board.